This is basically the end of my Solo Tour of Inner California. The park rangers were right; it snowed in the morning. It was a nice little surprise and gave me something else to try and capture. 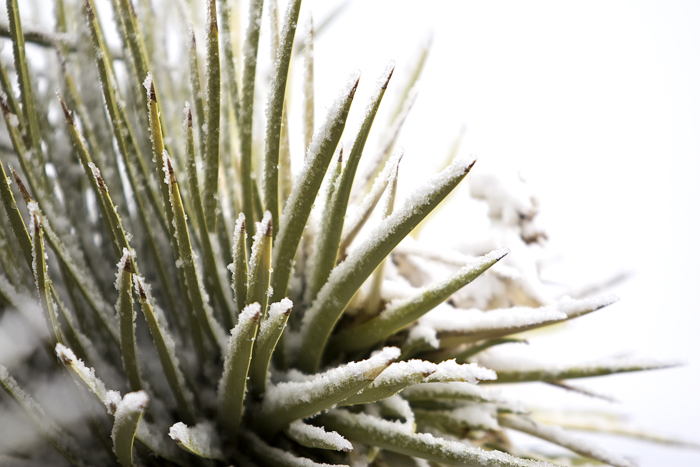 A closeup of one of the Joshua trees. 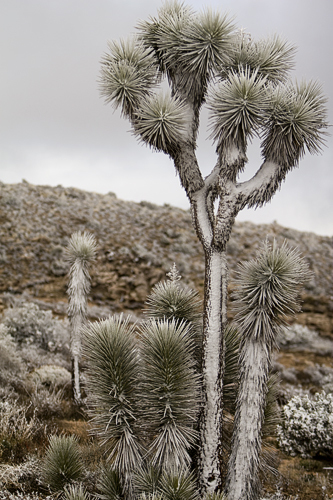 On my way out toward Interstate 10, I started seeing what I thought were baby Joshua trees. 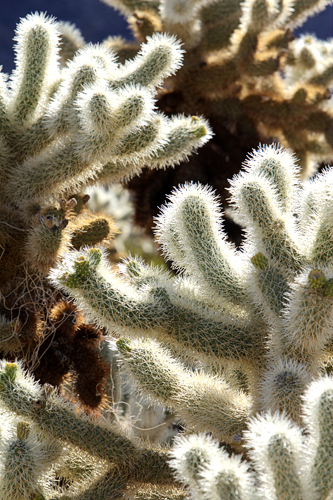 It turns out they are Cholla Cactus. There is even a Cholla Garden, which is where I stopped to capture the next two photos. A macro of a Cholla Cactus flower. I had to be careful not to get too close. 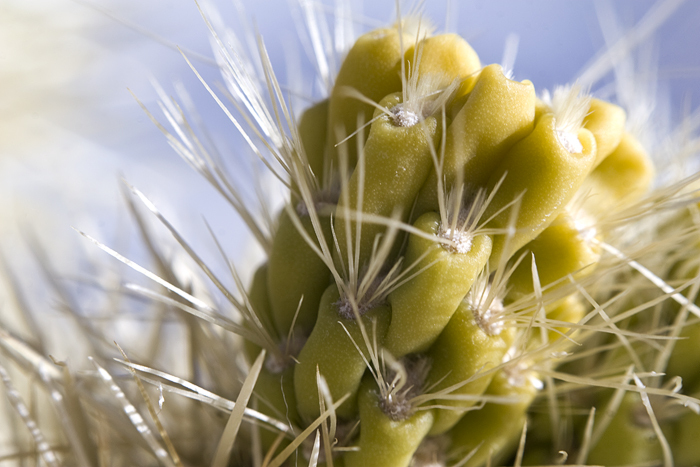 Apparently, the Cholla needles really dig into your skin.